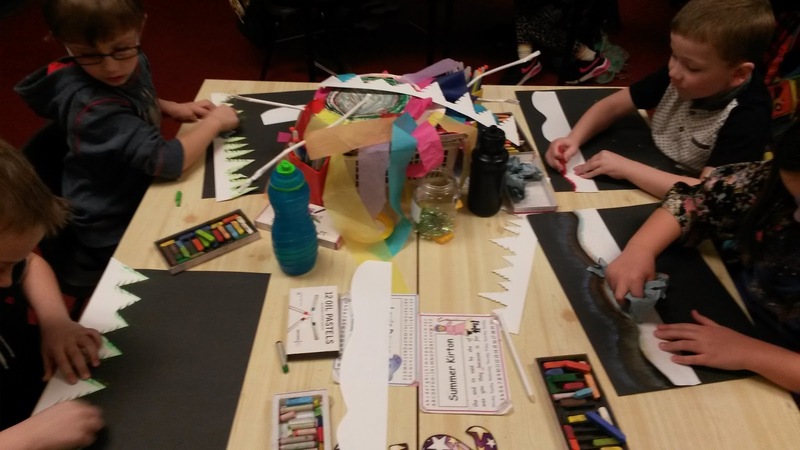 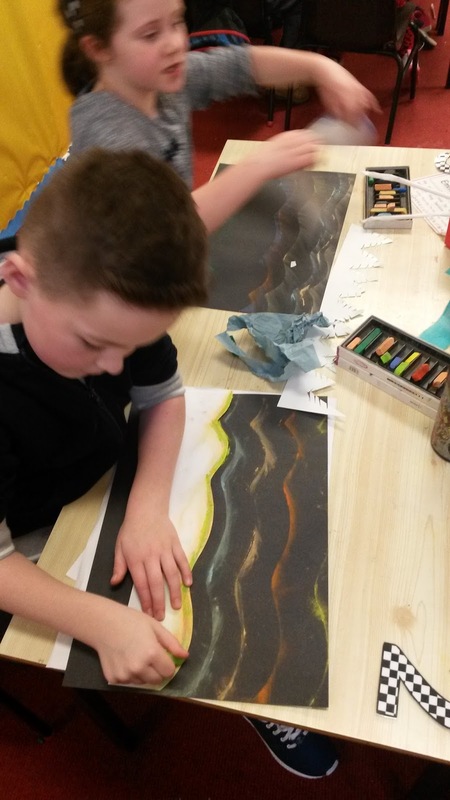 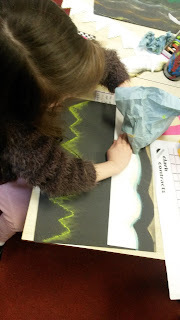 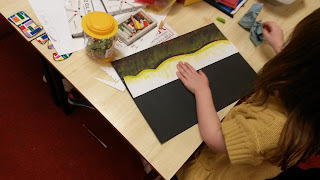 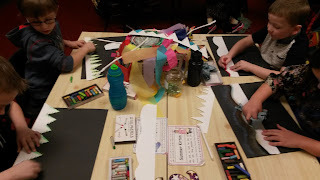 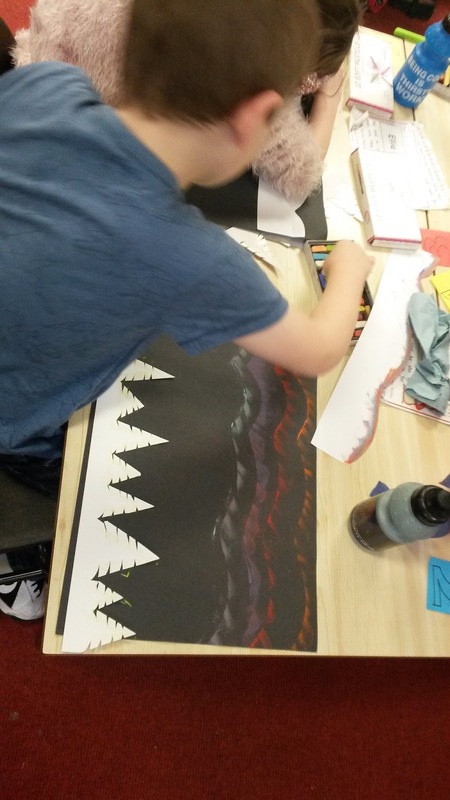 Last Friday, the boys and girls in P2 were extremely busy bees, working on their Northern Lights artwork. 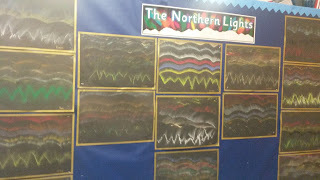 They used tree templates and a curved template to give the effect of lights flashing across the sky. 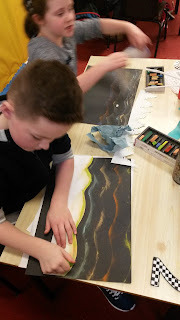 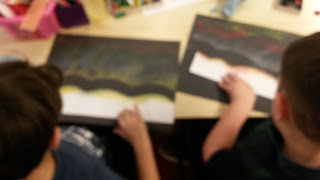 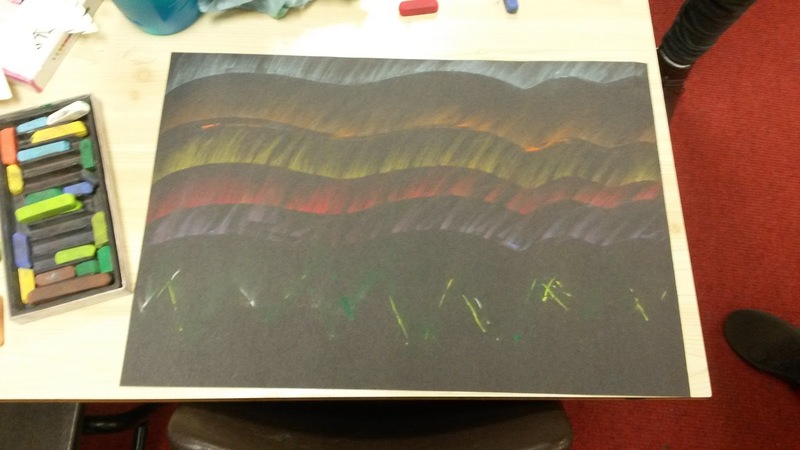 The pupils chose the colours themselves and used chalk pastels so that they could smudge each colour for extra effect. 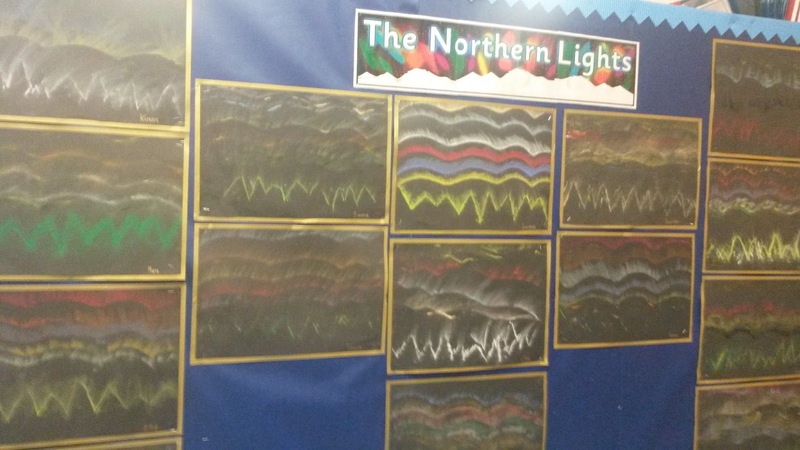 We now have an amazing display for the whole school to enjoy!